is a mind-altering psychoactive substance, and it acts on specific receptors in the brain, and will cause mood changes, depression, anxiety, suicidal thinking, memory issues, and an overall disruption to normal learning abilities. When someone smokes cannabis, the THC is rapidly absorbed into the blood stream and will reach the brain within minutes, however, when marijuana is eaten the effects will not be felt right away, but the duration will last much longer. THC in marijuana will directly affect the neurotransmitters in the brain, many of which are involved with memory, thinking, movement, concentration, coordination, the perception of time, and pleasure. Marijuana will also impact other parts of the brain that control coordination and reaction time, which is why smoking marijuana and driving a vehicle is very dangerous. There are many reasons why people choose to use marijuana, and much of it is to experience a feeling of elation, giddiness and relaxation. However, the sensory perception changes that marijuana will cause can lead to paranoia and anxiety. The recent legalization of marijuana in Manitoba has made the drug more accessible, but there are strict regulations with legal marijuana to help prevent youth from accessing the drug. What are the effects and risks of marijuana use? When marijuana is used for recreational purposes, they will experience changes in the perception such as a distorted illusion of time and space. Marijuana users will also experience changes in their mood that will lead to euphoria, feelings of energy, and a state of relaxation. Some marijuana users in Manitoba have experienced a higher heart rate, a reduction in blood pressure, and a marijuana user will experience an impairment in concentration and memory and reduced motor coordination. Many of the effects of marijuana will depend on how potent the marijuana is, and what physical and mental-health problems are happening with the user. There are numerous risks associated with using marijuana, and those who are using the drug recreationally in Manitoba should be aware of these risks. People who use recreational marijuana should be aware that their judgement will be impaired and a person using marijuana while driving is more likely to get into an accident. Because there are many on-going studies revolving around marijuana use, there is conflicting information; but one study has shown that marijuana can potentially suppress a person’s immune system. Other studies have shown that there are risks with creating a reduced brain function, which is more apparent within children and teens because the brain does not necessarily stop developing after the age of 25. Marijuana is widely used all throughout the country, and is used throughout much of the province, but statistically, Manitoba is on the low end for household consumption when compared to other provinces. In a survey done in 2017 within Manitoba, it was shown that around one in five used marijuana in the last year. Marijuana can become an addictive drug and will create a dependency with the long-term and extensive use of the drug. Most heavy marijuana users are dependent on the drug because of the effects it provides. Marijuana addiction can be treated at one of the many different drug rehabilitation programs in Manitoba. 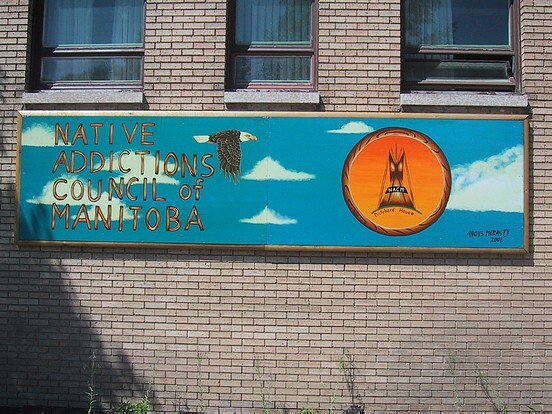 Anyone struggling with a dependency for marijuana in Manitoba should reach out to local treatment programs for help, such as twelve-step services, inpatient drug rehab or an outpatient drug treatment center. The information below will help you on how to find a cannabis outpatient treatment in Manitoba. The list could be incomplete, so if you have any questions, please don't hesitate to contact us at 1-877-254-3348.